Akia is an active member of the flourishing Off-Off/Indie & Off Broadway theatre communities having produced, directed, and performed with numerous NYC companies for over 17 years. She is the Company Manager for the international sensation, Blue Man Group at the Astor Place Theater. She has received critical praise for her direction of RSP long running hits such as “Hellcab”, “Goodnight Lovin’ Trail” and “The Last Supper”, "Crapshoot" and "Bug". She served as an advisory Board Member for The Paul Butterfield Fund & Society , and is Company Manager for The New York Innovative Theatre Awards & Foundation, where she serves on their honorary awards committee as Sub-Committee Chairman and as an At-Large Judge. Past notable credits include working on staff at Horse Trade Theatre Group, serving as General Manager for FRIGID New York’s inaugural year, and returning as Volunteer Coordinator in 2009; she also served as Production Coordinator for nationally acclaimed Puerto Rican Traveling Theatre, overseeing the playwrights unit and INSIGHT 13 production series. She is a recipient of the New York Innovative Theatre Awards “Founders Award” for her contributions to the organization and Off Off Broadway Community and Two Time "Congeniality" Award Winner from the Planet Connections Theatre Festival for her community involvement. When not absorbed in theatre, she is an avid traveler and scuba diver. Anna Maureen Hogan (Associate Artistic Director) is a graduate from West Texas A&M University where she received her BA in Musical Theatre and studied Shakespeare abroad in London and Stratford-upon-Avon. Anna aspires to tell stories that give back to society, reflect a current and changing world, embrace and fight for diversity, and find new ways to captivate our audiences with live theater. Ashleigh Herndon moved to New York to choreograph Cyclops: A Rock Opera for the New York Musical Festival, and subsequently decided to make New York her home. Originally from Myrtle Beach, SC, Ashleigh holds a degree in musical theatre from Catawba College. Performance credits include three national tours with Theatre IV children's theatre (Stone Soup, A Christmas Carol, Thumbelina); Regional: The Lost Colony, Jesus Christ Superstar, Funny Thing Happened...Forum, Cinderella, Where The Wild Things Are, Shakespeare & Love; NYC: Open Rehearsal (Theatre for the New City), NY Jazz Choreography Project. Ashleigh also works as a choreographer with a concentration in historical social dance, credits include: Cyclops (NYMF), Dr. Horrible's Sing-a-long Blog (stage premier Las Vegas), Cynthia (workshop), A Christmas Carol, and Drood. Jak Prince (Technical Director/Resident Set Designer) made his stage debut at age 6 playing the elephant king in the first grade play. Since then he has been involved with theater either as an actor, director, designer and educator. Prior credits include ”Hotel Suite” (Rising Sun Performance Co-Designer and Technical Director) ”Space Captain-Captain of Space” (No Tea Productions-Design Team) “The Kentucky Goblin Siege” (No Tea Productions – scenic design) “The Last Supper” Scenic design- Rising Sun Performance Co,) “Uncle Nicky” (Lighting design – Theatre on Five), Vital Signs 8 (Lighting – Vital Theatre Co.), Animals R’ Us (Lighting design – P.A.C.T.) Richard III (Lighting design – Frog & Peach Theatre Co.), “As You Like It” Much Ado About Nothing” (Scenic & Lighting design, Frog & Peach Theatre Co.), N.Y. Innovative Theatre Awards , (Production Stage Manager) “I Married Wyatt Earp” (Prospect Theatre Co-Technical Director) In addition, he is also a certified teacher of theatre and has served high schools in New Jersey as a director and designer. His students have named him the Who’s Who among America’s Teacher’s three times. His daughter, Danielle, is an animal trainer in Austin, Texas. Maggie is a recent graduate of Hofstra University in Hempstead, NY in Speech Communications and Drama. She hails from Cincinnati, OH but loves working here in New York City. She’s currently the dramaturg for Hofstra University’s production of Farragut North. This past summer she’s been one of two Dramaturgy and Literary Management interns for Rising Sun Performance Company as well as the Social Media intern for the Innovative Theatre Foundation. She is the President of Spectrum Players, the on-campus play club. Past credits include dramaturg for Under Milk Wood at Glass Bandits Theatre Company and dramaturg and ASM for Cat on a Hot Tin Roof at Hofstra University. This is his first season as an ensemble member of the Rising Sun Performance Company. A Lower East Side native, he graduated from Queensborough Community College with an Associate's Degree in Performing Arts. Regional Theatre credits: The Favor (Chicago Fringe). Off-Broadway Credits: Othello (American Theatre of Actors) and The Last Hour (Royal Family). New York Theatre credits: Punk Grandpa (Frigid New York), The Skin of Our Teeth (Articulate Theatre), Memory Show (Dixon Place), Allie's Appendix (PCTF/The Paradise Factory). Film credits: Judgment. Check out his hip hop content on his “Mike Checker” YouTube Channel! Julia Geromin This will be Julia’s first season with Rising Sun and she could not be more thrilled to be part of such an innovative and passionate ensemble! Julia is a recent graduate of the American Academy of Dramatic Arts in Midtown Manhattan. She originally wanted to study acting when she read a copy of MacBeth at 12 years old and thought “I can do that” (she was a very precocious 12 year old). Since then she has performed at the Stratford Shakespeare Festival and Theater Under the Stars Shakespeare in the Valley. She looks forward to joining The Rising Sun Theater Ensemble in their quest to make this world a little bit brighter. Much thanks to her family who has always believed in her. 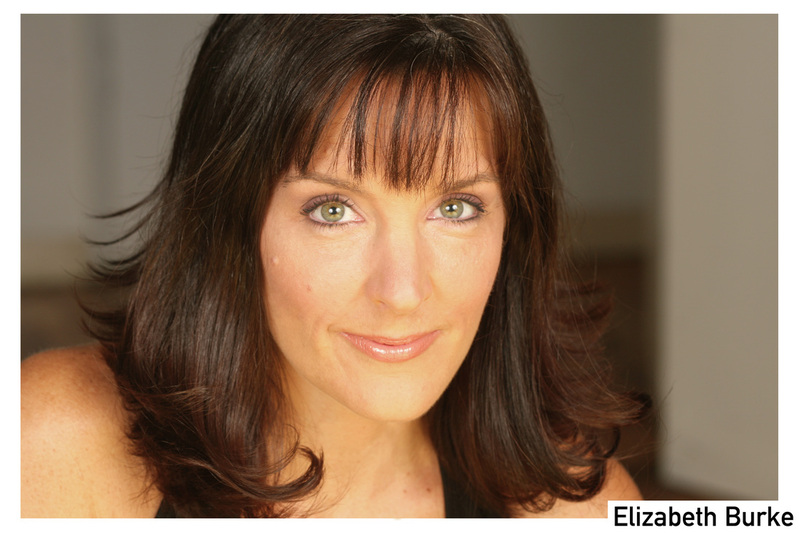 Crystal Edn (actor/director) is thrilled to jump into her first full season with Rising Sun Performance Company. She previously collaborated with RSP as a director for their Mash-Up series. She’s thrilled to be a part of the fantastic ensemble for Child’s Play this spring. Around town, you can find Crystal acting and directing with several companies, including Nylon Fusion, Articulate Theatre Company, and T. Schreiber Theatre. www.crystaledn.com. AEA and lover of all people. Sven Haabeth is honoured to part of The Rising Sun family. Sven is a company member with Rising Sun Performance Company and most notably seen as Myron in their production of Helvetica at Planet Connections 2016. His most recent work in NYC was portaying Mort'd'Mer in Steven Tenney's D4rkly Your Retrorockets Fl4re at Planet Connections 2017. Originally hailing from Norway, Sven has starred i many a production there.Thank you Akia for welcoming me in to the Family. Shout out to Kristen, Birgit and Nina, and Jerrod Bogard. Look out for Sven Haabeth in upcoming productions of Biden's Peer Gynt and Brand. ​Hayden Field is an actress and feature journalist originally from Atlanta. In New York, she's previously performed with Broadway Artists Connection and The Cranky Cabaret, and she’s absolutely thrilled to be a part of Rising Sun Performance Company. Her favorite past roles include Betsy/Lindsay in Clybourne Park in The University of Georgia's official season, Grumio and Vincentio in a Cortona, Italy production of The Taming of the Shrew and Eugenia in the original cast of Kill Me Now in Athens, Georgia. Her other interests include the three H’s: high-fives, Hamilton and Harry Potter. Desiree Pinol is very excited to be a new ensemble member of Rising Sun! Desiree was born in Orlando, Florida but grew up in Garner, North Carolina. She recently graduated with a BFA in Acting from the University of North Carolina at Greensboro. She’s been living in New York City for a little over a year and is loving the adventure of exploring this big, beautiful concrete jungle. Favorite roles include Katie in Bachelorette, Kit/Shona in Top Girls, and Roberta in Danny and the Deep Blue Sea. Endless love and thanks to her incredibly supportive family, friends, and loving partner Jackson. Mercedes Vasquez is excited to be a part of the Rising Sun Performance Company. She is a New York native who received her Bachelor of Arts in Acting from LIU/C.W. Post and is thrilled be on stage in this season’s production of “Child’s Play”. She recently filmed a pilot for the series, “No Strings Attached” and can be seen in Season two of Latin Lives web series on Youtube. Mercedes is also the technical director for the amazing women’s empowerment organization, SWA. When she is not acting or running sound/lights you can find her enjoying dance workshops. Tiffini first came to New York City on April 8, 1991 to become a great NYC theater actress! Many roles, jobs and life events later, she has found herself on the other side of theater and loving it! Her first foray into performing was at the tender age of 6 when she and her best friend, Sabrina, performed their version of Wizard Of Oz in the backyard, with Sabrina being Dorothy, and Tiffini being everyone else, including the stage manager and producer! Should have known then! After “retiring” from the restaurant business and enjoying 1-½ years of not working, Tiffini decided it was time to get back to the theater! She started working with Rising Sun as an Administrative intern in September of 2006. She was interested in learning how to transfer her restaurant operations skills to theater, her first love. So far Tiffini has learned how to: manage theaters, hire actors & techies, find inexpensive/free rehearsal space, find & use free publicity, write grants (sort of!) and how to throw a successful fundraiser party! And she’s still not done learning! Her goal is producing a show and learning everything it takes to do so! Meg Dowling is a recent graduate of East Stroudsburg University and moved to NYC from Philadelphia in January. Most recently she directed a short play in the Looking Glass Theatre's Writer/director Forum, stage managed and assistant directed Looking Glass’ production of The Angel Play and was the ASM for High Stakes Theater’s production of Black Milk. Previously, she was a summer 2011 intern for New York Classical Theatre’s productions of School for Husbands and Henry V, which included a ferry ride for 500 people. In 2009 she interned at People’s Light in Malvern, PA on their production of End Days. College credits include: ASM for A Funny Thing Happened on the Way to the Forum, and acting in productions including the one-act, Beauty, and the Shakespearean comedy, As You Like It. Donna Latham is an award-winning playwright. She’s been making up stuff, acting it out, and writing it down forever. Her plays have been produced coast to coast and across several ponds—in Northern Ireland, Ireland, England, and all the way to Indonesia. And We Will Share the Sky was a Kennedy Center Regional Finalist for the David Mark Cohen Playwriting Award and recipient of the National Theatre for Young Audiences Playwriting Award from the University of Central Missouri. Paddy and the Mermaid received an Honorable Mention Award from the Beverly Hills Theatre Guild. Selected credits: Glacial Decline was a finalist in the Gary Garrison Play Festival. Grievances and Whirligigs was part of the Biscuit Tin Reading Series in Belfast and had readings at No Shame Athens in Georgia and the EstroGenius Festival at Manhattan Theatre Source. A Midnight Clear: The Christmas Truce of 1914 was a semi-finalist, Dionysus Cup Festival of New Plays, Polarity Ensemble Theatre Company, Chicago, and premiered at the Batavia Arts Council in the Chicago area. The Haunted Widow Lincoln, which went up at the Batavia Arts Council and Rover Dramawerks in Plano, Texas, was a semi-finalist for the Playwrights First Award and the Vittum Prize. It had readings with the Bechdel Group in NYC, Houston Scriptwriters, and the Civic Theatre of Lafayette. Coyote’s Moon went up at the La MaMa Theatre 50 Block Party in New York. Three by the Sea received its world premiere at the Looking Glass Theatre in New York. Donna’s plays are licensed with Chicago Dramaworks, YouthPLAYS, Brooklyn Publishers, and Heure and are included in The Best American Short Plays 2014-2015 and 2016’s Best Ten-Minute Plays anthologies. Donna’s thrilled to be a resident playwright at Rising Sun Performance Company, NYC. She is a proud member of the Dramatist Guild. Tim Errickson (Director) is the Artistic Director of Boomerang Theatre Company. Previous Boomerang credits include directing productions of Hamlet, Fenway, Burning The Old Man (6 NYIT Nominations, including Outstanding Direction), Stoppard Goes Electric, Much Ado about Nothing and As You Like It. Other recent directing credits include The Desk Set for Retro Productions (6 NYIT Nominations including Outstanding Production), Brad Fraser’s Unidentified Human Remains and the True Nature of Love, Racine’s Phaedre, Jamie Pachino’s Famous for Fifteen Years, Michael Weller’s Moonchildren (OOBR Award for Outstanding Production) and Brian Smallwood’s The Wedding Play. His recent play Endless Summer Nights recently premiered with Boomerang in September 2010, and was a “Pick of the Week” by nytheatre.com. Tim has previously developed projects with John Pielmeier, Bill C. Davis and Mike Folie, including the treatment for the feature film script “Places”. He continues work with his band Mother Tortilla recording songs for their upcoming album “Mental Salad”, and is preparing for his first solo sailing adventure in summer 2013. Nic Mevoli 8/22/81-11/17/13 began working with Rising Sun in 2002, and appeared in many of their productions including: A Royal Toil, The Off Broadway Revival of An Adult Evening of Shel Silverstein, The Crucible, "Amerikan Mine" and RSP’s 2004, 2009,2011, 2013 Productions of Good Night Lovin' Trail; most notably he received rave reviews as the Cab Driver in their hit production of Hellcab, which ran for 13 Weeks at Under St Marks Theater 2005-06. He co-wrote and starred in the acclaimed feature film “Exist” directed by Esther Bell. He has been seen on the Chappelle Show on Comedy Central. He was also an accomplished scenic & props artist working on such films & TV shows as the Smurfs 3D, The Beaver, Jack Goes Boating, Men in Black 3, Runner-Runner, Gossip Girl and the Chappelle Show.